As a family caregiver, you’re going to run into many challenges in the coming years, and these include establishing boundaries with your aging parent. Even if you have a close relationship with your loved one, privacy could be a major concern for both of you. With a good long-term plan, your parent won’t feel like he or she is sacrificing privacy or independence. Here are a few strategies you can use to promote healthy boundaries with your aging parent. Many of the most common problems family caregivers run into can easily be avoided with an open, honest conversation. If possible, try to have that conversation well before your parent needs any help from you or any other caregivers. Talk about your loved one’s long-term plans and preferred living arrangements. Seniors often hide their financial and medical issues from family caregivers because they want to preserve their privacy and independence. However, this can lead to serious complications down the road. While your parent is still healthy and cognizant, explain that you won’t look at his or her medical or financial records unless an accident or life-altering injury occurs. If your parent does experience an injury or illness, it may be a good idea to consider hiring a caregiver to provide extra help, either for a short time or for the long term. Performing daily tasks while simultaneously managing the symptoms of a serious illness can be challenging for seniors. 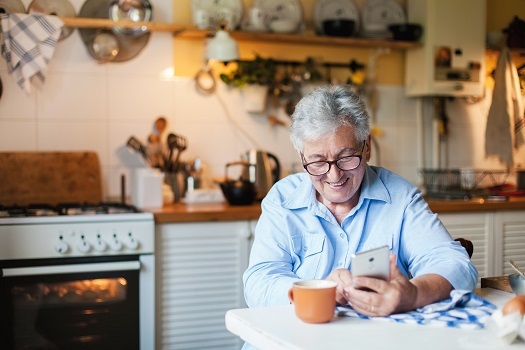 The Clarksville live-in care experts at Home Care Assistance are available 24/7 to make sure your loved one has the care he or she needs to remain safe and comfortable while aging in place. When it comes to privacy, personal space is vital. Your parent needs to have a space where he or she can spread out and feel completely comfortable. A private bedroom is the ideal option. If you own a home and your parent is coming to live with you, you should think about adding a granny flat if you have the space. These apartments usually have one or two rooms, and the aging family member has access to a restroom, kitchen appliances, and a comfortable place to sleep. Some adult children convert attics and basements into granny flats, while others build separate units on their property. Without firm rules, your household could fall apart in a matter of months. Every person who is living under your roof needs to understand and agree to those rules if you want to avoid heated arguments. The rules might include which rooms are off limits and who gets control of the television at certain times. Socializing is extremely important for older adults, but everyone needs to spend some time alone. At least three or four times a month, make sure all the members of your household have a few hours to themselves. Even a quick trip to the movies or a park could provide enough time to reset and refresh. There may come a time when your parent will need the help of an in-home caregiver, and it’s important to choose one who understands how to respect seniors’ privacy and treat them with dignity. Clarksville home care professionals can be a wonderful boon to seniors. Whether they require around-the-clock supervision or just need assistance with exercise and household tasks a few days a week, seniors can enjoy a higher quality of life with the help of trusted in-home caregivers. Home Care Assistance will work with you to customize a care plan that’s just right for your loved one’s needs. Call us today at (931) 444-1950 to discuss how we can give you the peace of mind that comes from knowing your loved one is being cared for with professionalism and compassion.